Bill Pay Update! Coming soon Single-Sign-On for BillPay users! This is Exciting & Long Awaited News for our Members! 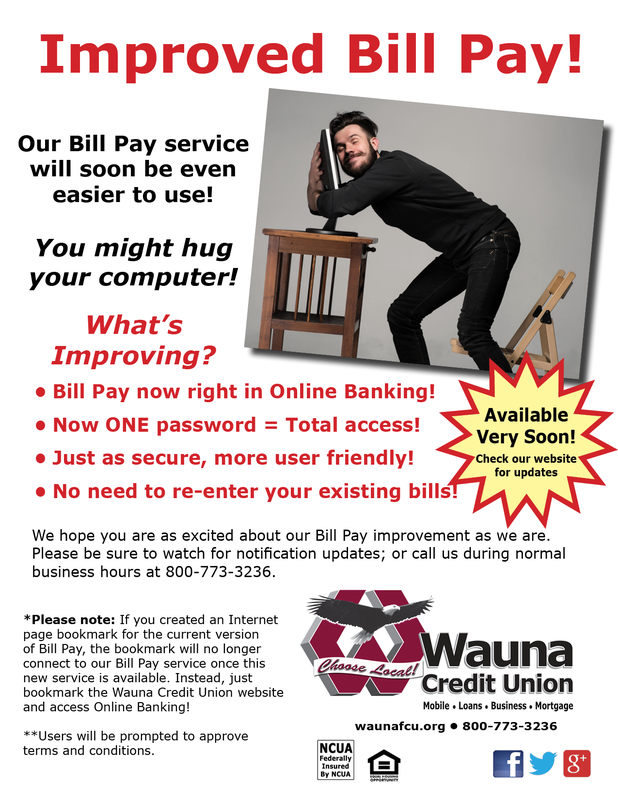 Our Bill Pay service will soon be upgrading. Since our core processor conversion back in October 2013, Bill Pay has required a secondary login beyond the online banking login, all of that will soon change. We have keep asking about this and working on it, and very soon, our Bill Pay users will be able to access their Bill Pay account directly on Online Banking! This change will be coming soon, and we are hopeful that in addition to pleasing our existing users, this update will also inspire more members to use our easy and convenient Bill Pay option for paying bills monthly or even one time payments! As the launch of the new Bill Pay nears, stay tuned to this blog, our website, and social media for announcements.